A day after the CBI named banking doyen K V Kamath and virtual who's who of the sector for questioning in the alleged fraud case against former ICICI Bank CEO Chanda Kochhar, union minister Arun Jaitley Friday advised investigating agency to avoid "adventurism" and concentrate only on the bull's eye. 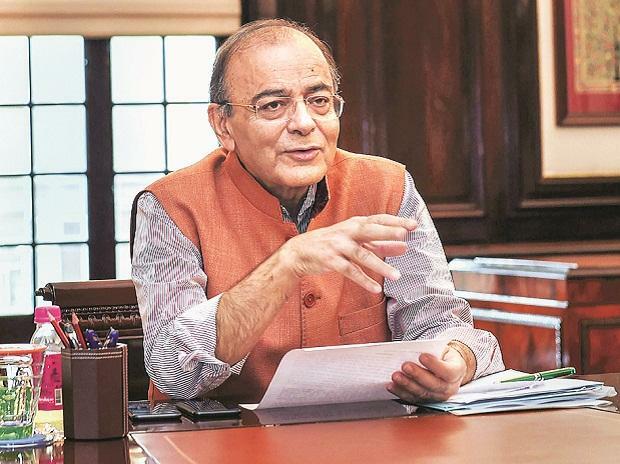 Jaitley, who is recuperating after a surgery in a hospital in the US, on Twitter said one of the reasons for "poor" conviction rate in India is that "adventurism and megalomania" overtakes investigators and professionalism takes a back seat. The Central Bureau of Investigation (CBI) on Thursday filed a case of criminal conspiracy and fraud against the Chanda Kochhar and her husband Deepak Kochhar. The agency also said Kamath as well as present ICICI Bank CEO Sandeep Bakshi, Goldman Sachs India Chairman Sonjoy Chatterjee, Standard Chartered Bank CEO Zarin Daruwala, Tata Capital head Rajiv Sabharwal and Tata Capital senior advisor Homi Khusrokhan need to be investigated for high-value loans ICICI Bank sanctioned under Kochaar to Videocon Industries. It alleged that the loans were extended in violation of bank's lending policies and in exchange for an investment by the consumer electronics company's owner in a business headed by Chanda Kochhar's husband. "There is a fundamental difference between investigative adventurism and professional investigation," Jaitley wrote. "Sitting thousands of kilometres away, when I read the list of potential targets in the ICICI case, the thought that crossed my mind was again the same Instead of focusing primarily on the target, is a journey to nowhere (or everywhere) being undertaken? If we include the entire who's who of the banking industry with or without evidence what cause are we serving or actually hurting." Jaitley, who was finance minister of India till last week and had to temporary handover the charge to his fellow minister Piyush Goyal for the duration of his indisposition, advised the investigators "Follow the advice of Arjun in the Mahabharat Just concentrate on the bull's eye." Investigative adventurism, he said, involves casting the net too wide including people with no 'mens rea' or even having a common intention to commit an offence, relying on presumptions and surmises with no legally admissible evidence. "Adventurism leads to media leaks, ruins reputations and eventually invites strictures and not convictions. In the process, the targets are ruined because of harassment, loss of reputation and financial costs. It costs people their career," he wrote. "Professional investigation targets the real accused on the basis of actual and admissible evidences. It rules out fanciful presumptions. There is no personal malice or corruption. It targets the guilty and protects the innocent. It secures convictions and furthers public interest," Jaitley said. One of the reasons why conviction rates in India are poor is that "adventurism and megalomania overtakes our investigators and professionalism takes a back seat," he wrote.